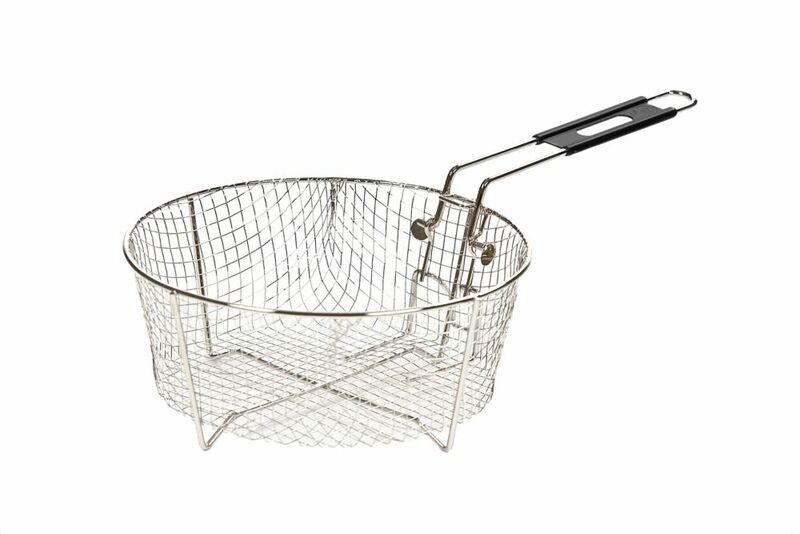 10.5 inch Deep Fry Basket Deep fry favorite foods in Lodge commercial grade baskets that fit in Lodge Dutch Ovens. Easy to store folding handle & drain hook. Constructed of Nickel Plated Steel.